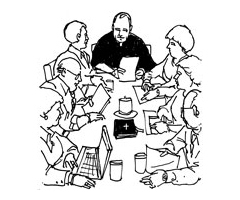 The Parish Finance Council's role is to help facilitate the accomplishment of the pastoral priorities identified by the Parish Priest. The Parish Finance Council meets quarterly and as required. If you would like any more information or wish to raise anything, please speak to a Council member after Mass or contact them via the Parish Office.